I connect with you better than I do with most people. I wouldn't say that you're lucky to have me as an owner, but rather I am lucky to have you as my cat. When I saw you I knew it was love at first sight. I was destined to take care of you. You probably thought to yourself, "Why is this lady in my face? What is that high-pitched noise she keeps making?". That, my dear, is me trying to communicate. I know you hate how much I cuddle you even though you never seem to want to be held. All of the scratches on my arms from you trying to escape my love are definitely worth it. And you would much rather take care of it yourself than have me corner you to brush your bed head. But, let's be honest, you know I'm going to do it anyway. You probably think that I'm strange for trying to take a million pictures of you (some attempted face swaps, too). They're memories I want to capture, so please stop giving me those looks. It isn't always cute and happy taking care of you. Do you ever wonder where all of your garbage goes? What about all of the toilet paper rolls you've shredded? 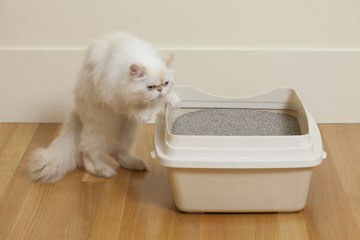 And it sure seems like you wait until I finish cleaning the litter box to go and do your business. You never want to let me change the sheets, no matter how many times I put you on the floor or in another room. Actually, you seem to think you own the bed. I have bought and made you three cat beds, and it still doesn't top the center of my mattress. Sure, maybe I talk to you too much. I often forget that you can't understand English. But, hey, at least you like my jokes. Just know that you are my pride and joy. I feel like a mother talking about you to everyone and pulling out the album in my phone I've made especially for pictures of you. I will always love you, feed you, brush you, scoop your box, play with you, and will always be blessed to call you my cat.